Getting a pair of ballet pointe shoes for the first time is a very personal experience. You should have the opportunity to be able try on various makes and types before making your final decision. The shoe needs to suit your foot type and should be able to support your foot properly. A highly arched foot for example needs a higher vamp than a flat foot. Also make sure that you get fitted by somebody who knows what they are doing. Once you know your size and choice you can probably shop around online and get your pointe shoes a bit cheaper. Here are a few options for you to look at. If you need to find out more about the pointe shoe in question, click on the picture. Sancha is a well known brand developed by Franck Raoul-Duval in 1982. Franck was a Frenchman with a passion for dance, and a lot of my dancers love this shoe. It tends to work better for the dancer with a strong foot to start off with. Sancha is well known for their split-sole ballet shoes that give a glove-like fit. They also manufacure other ranges of shoes with everything from ballet to jazz to hip-hop to ballroom to flamenco. Capezio is another great brand and well known in the ballet world. This shoe has a broad, feathered toe box. Medium vamp and No. 3 leather board shank, 3/4 skived to No. 1. Round shape throat and elastic drawstring. Hand-flattened crown. New pleating with quiet toe construction. Soft cotton lining. This is best for a medium to wide forefoot with toes of even length. Begin with street shoe size. Capezio’s Glisse is a great starter pointe shoe. The long vamp and wider toe box will keep you more comfortable, while the #3 shank helps you to roll up on your toes more easily. 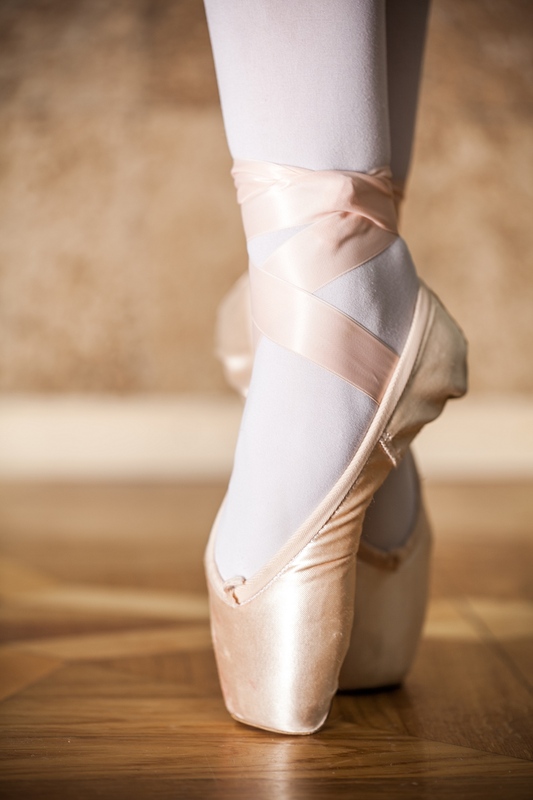 There are various makes available for the above pair of pointe shoes, so for your first pair, rather get fitted professionally so you know exactly what you want to order. As you can see from above, don’t rely on the size guide alone. Here are some great additions for your ballet pointe shoes, that will help ease you into your pointe work with comfort. If you need to find out more, simply click on the pick of your choice.